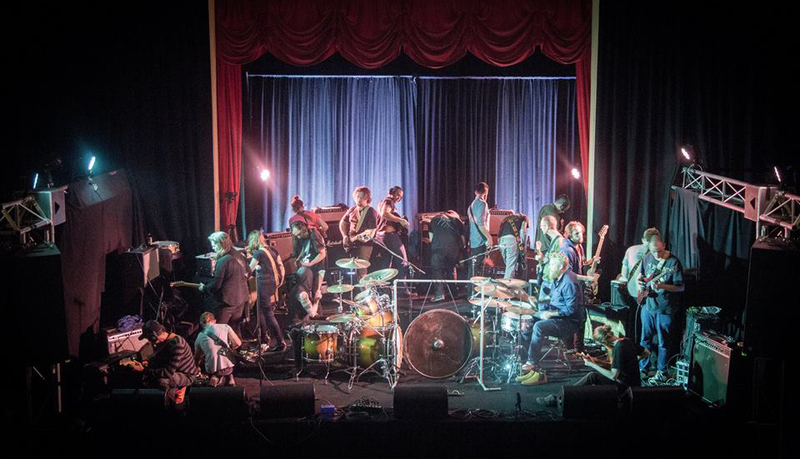 The Melbourne Drone Orchestra is an assemblage of musicians who realise the electric guitar as a tonal device to its most expansive. With open participation, the Melbourne Drone Orchestra has continually featured people from a broad a wide range performance backgrounds. Each concert aims to exceed the last in terms of number and volume, enhancing an already visceral experience. All participants are united by three conditions: all guitars are tuned to DADGAD; only six-string guitars (no bass guitars); and no riffs or shredding.